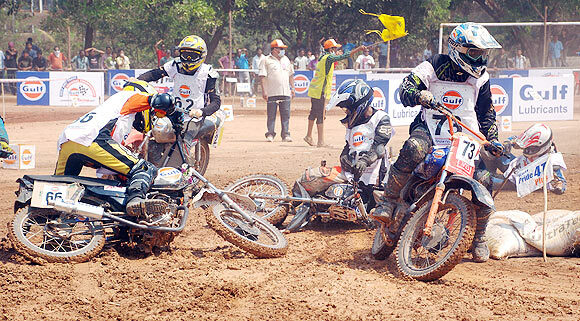 Naresh V S was the surprise package in the first round of the FMSCI-Gulf Dirt Track National Championship, at the Fisheries College ground in Mangalore. 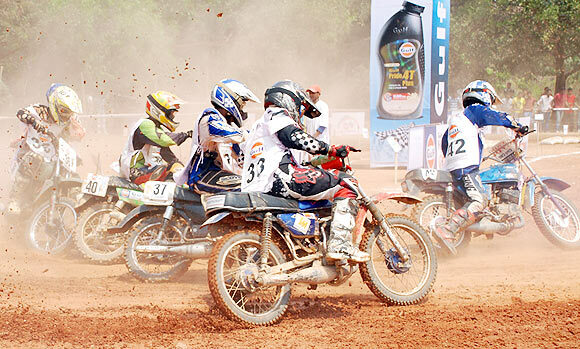 The Bangalore rider was undoubtedly the best in the 14-race event, organized by Mumbai's Sportscraft for the tenth straight year, in association with Mangalore Motor Sports Association. Astride a Yamaha RX 135 he won four races -- two of the Private Expert Class, one in the Indian Expert Class and also the local class, to steal the limelight from the TVS Racing team, whose riders won most of the other classes. Naresh extracted the maximum from his well-prepared machine to first take the honours in the second race of the Indian Expert Class morotcycles 260cc 2 & 4 stroke, beating back a stiff challenge from Harith Noah (TVS Apache) and S Madhu (Yamaha). That set the ball rolling for his supremacy in the races to follow. Next he won both the races in the Private Expert Class, leaving Suhail Ahmed and Shahbaz Khan in second and third places respectively in the first race, and Syed Hidyathulla and Shahbaz Khan behind in that order in the next. As expected TVS Racing team riders cornered the glory in the Foreign Motorcycles class, with Pramod Joshua best in the first race, finishing ahead of R Natraj and Harith Noha in the first race. Noha, though, won the second race, relegating the seasoned Natraj and Adnan Ahmed to second and third place respectively. 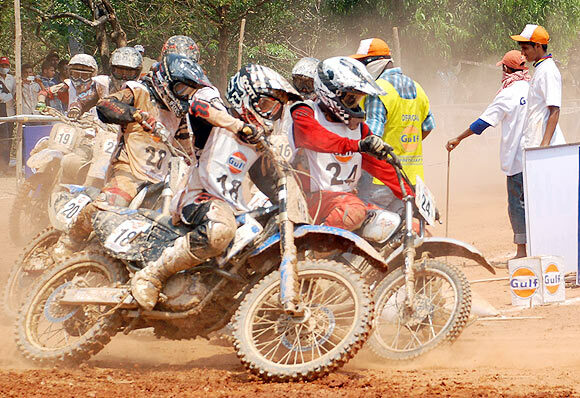 Dirt track racing is all about riding at high speed on a specially-laid out winding track, which is mostly slushy and gravel-laden. The rider has to negotiate serpentine bends while doing several laps and is timed to the hundredth of a second. 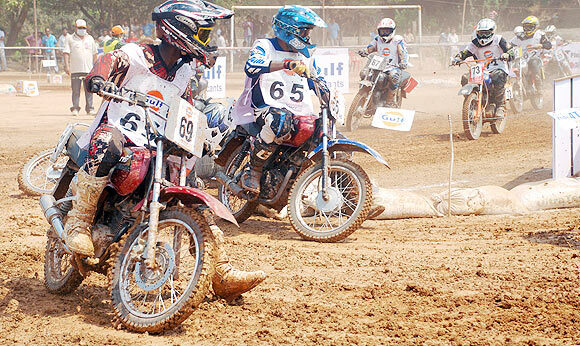 The seasoned riders, as expected, turned in a scintillating display, but it was heartening to watch the local talent and some first timers, like Rajendra R E of Shivamoga, who came up with a fine display in one of the races in the Novice class. Astride a Yamaha, he did well around the hairpin bends particularly to place ahead of Bangalore's Anthony Benedict and C S Anandkumar, both riding Yamaha RX 135. 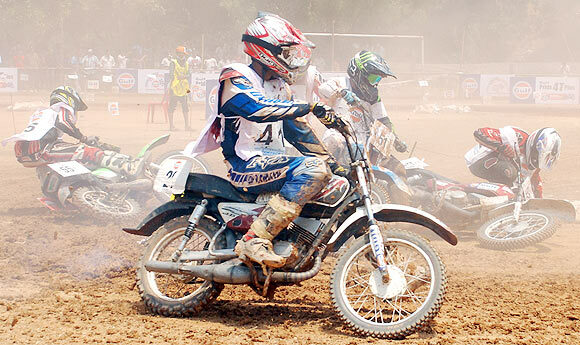 R Sajeesh, riding, Yamaha RX 135, emerged best in the Mangalore class, motorcycles upto 165cc . 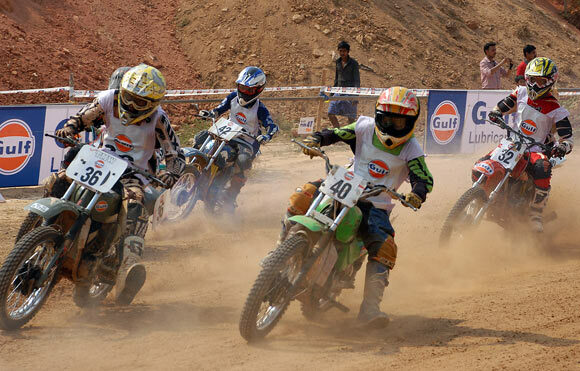 He was always under pressure as he went around the specially-laid out serpentine course, but to his credit he did well to overcome a strong challenge from Dean Mascarenhas and Mohd Nabeel who finished second and third respectively in the category.